Star Wars: Episode IX is titled "The Rise of Skywalker" and is set to hit theaters on December 20, concluding a three-film arc, as well as a broader story that Disney executives have dubbed the "Skywalker saga". What that journey entails is still somewhat unclear, but the teaser does offer us a clue in its final moments, as our heroes gaze out at what appears to be the wreckage of the Death Star. The trailer also shows the Millennium Falcon being helmed by Chewbacca and Billy Dee Williams as Lando Calrissian. The trailer ends with an unmistakable laugh from a villain long thought dead: Emperor Palpatine. The Globe's top picks for what to see and do each weekend, in Boston and beyond. 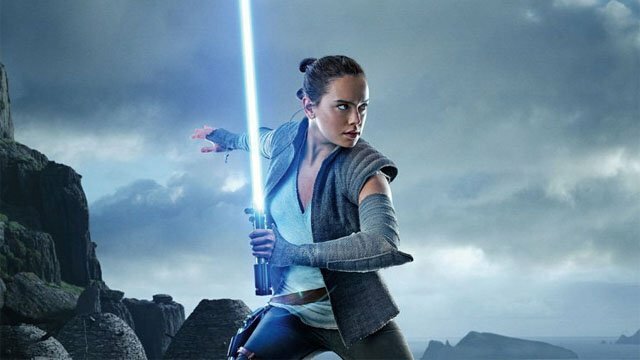 With Rey's inarguable status as the trilogy's main hero and her prominence in the trailer, which teases "Every generation has a legend", it could be leading us to the revelation that Rey is a Skywalker after all. The story follows events detailed in Star Wars: The Last Jedi (2017), and sees numerous characters from that film returning, including Kylo Ren (Adam Driver), Finn (John Boyega), Poe (Oscar Isaac), and Leia (Carrie Fisher). Brought to life by Respawn, a studio known for high-quality games that are both visually attractive and technically masterful, players will use their Jedi training to create different melee combinations with an innovative lightsaber combat system and Force abilities. J.J. Abrams says that Carrie Fisher's Leia will live in "Star Wars: Episode IX" through unused scenes from "The Force Awakens" that he's been able to integrate into the story. "She was the greatest", Abrams said of the late actress. "I feel like we've gotten to a place - without jinxing anything or sounding more confident than I deserve to be - I feel like we're in a place where we might have something incredibly special", Abrams said. " We are not just looking at another trilogy, we're really looking at the next ten years or more". Yesterday we were blessed with an official teaser trailer for the final entry in the Skywalker Saga. Again this information hasn't been verified though it sounds like an exciting, if predictable, approach to unearthing this lost chapter in the Star Wars saga. Yes, The Rise of Skywalker is nearly upon us, so once Avengers: Endgame has come and gone, and the world fawns over Jon Favreau's Lion King remake, we fully expect Star Wars mania to grip the fanbase once more.